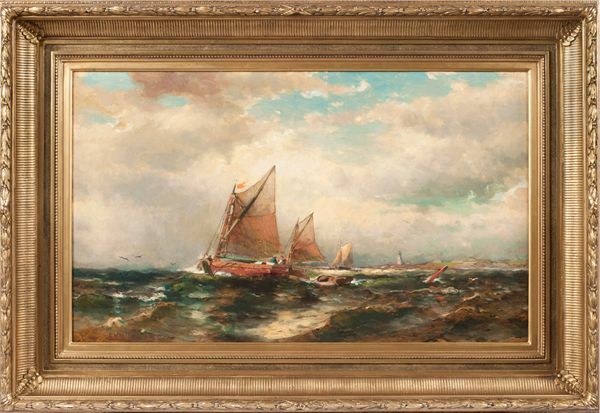 Seascape is a prime example not only of McCord's talent as a painter, but as a distinctive voice in the tradition of marine and maritime painting in America. Artists' painterly focus on seascapes and ships in the second half of the nineteenth century, which had its roots in the naval traditions of the Dutch and British schools, emerged more clearly in America with the second generation of Hudson River School painters. Seascape serves as a testament to this tradition as well as the meticulous skill that made McCord so highly acclaimed in his lifetime. 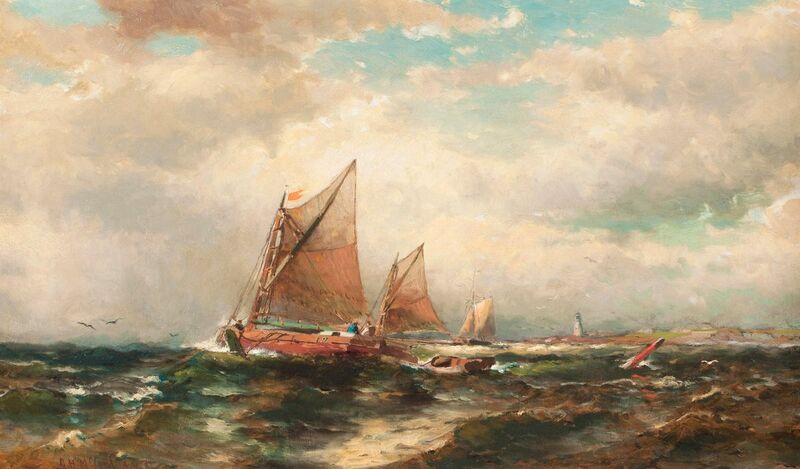 The painting, which depicts three stately sailboats set amidst cresting waves, underscores McCord's talent not only in rendering landscape details, but also in articulating movement implicit in the sea's elemental circumstance. The rolling waves of the surf, the billowing sails of the ships, and the blow of ocean spray against the crafts' bows are rendered in perfect detail, suggestive of the temperamental atmospheric effects of a day spent at sea.